Usually 50 micron, other thickness like 15, 20, 30 micron are also available. 2. 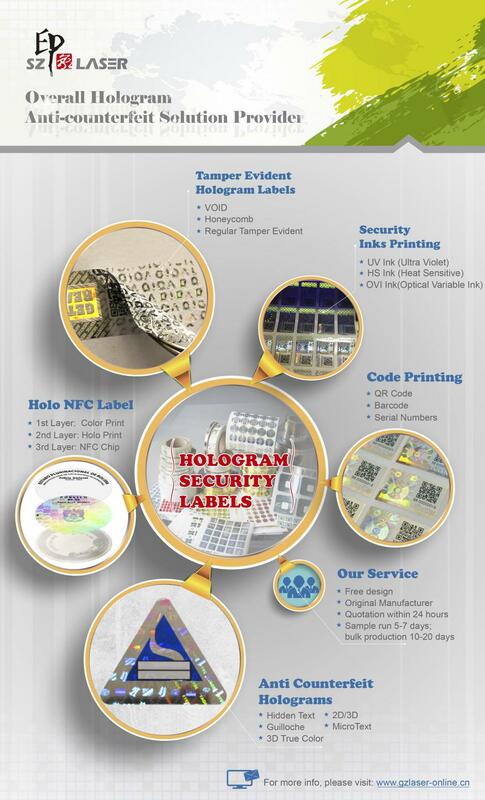 Can you make tamper evident hologram? 3. For hologram, any shape, any color, you can do for me? If you want more details, please visit our website: http://gzlaser.en.alibaba.com/ or http://www.nip-optics.com/ .